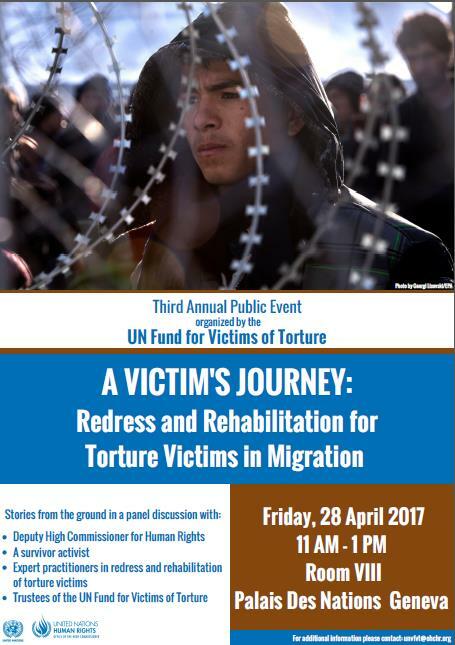 The UN Fund for Victims of Torture has released its report on the Third Annual Expert Workshop ‘Torture in the Context of Migration’ which Room to Heal attended in April 2017, featured on our blog here. You can read the report in full here. And you can watch a short clip of the conference here. More people are currently on the move than at any time in recent history. These large movements are increasingly complex and perilous and migrants are increasingly subjected to violence at borders and upon arrival in the host country.